bad day, but this was clearly more than that. clearly everybody is worried that there is some problem. yet. Or don’t want to tell. 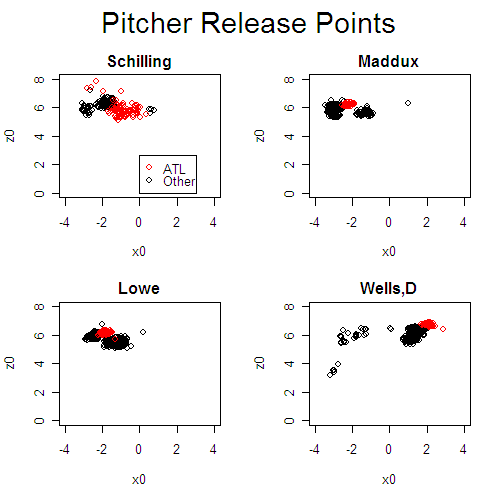 So, why am I, an analysis guy, writing about Schilling’s medical problems? 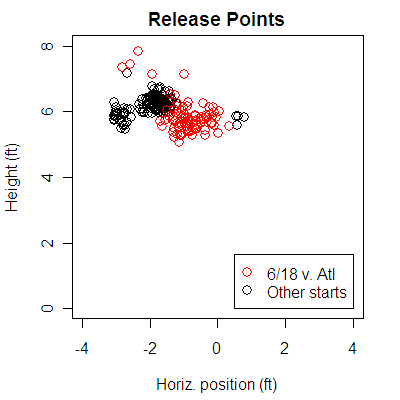 release point and maybe some other stuff as well. 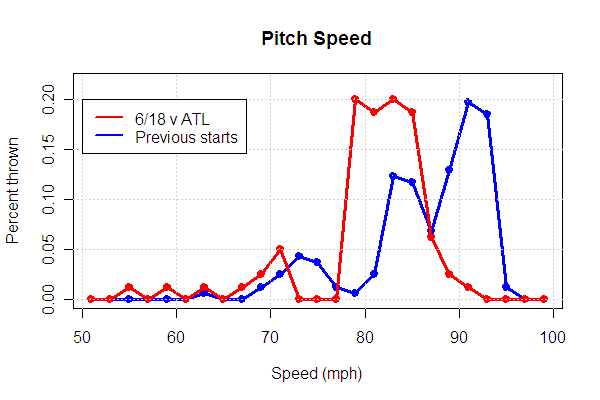 his two previous starts this year for which we have the pitch data. 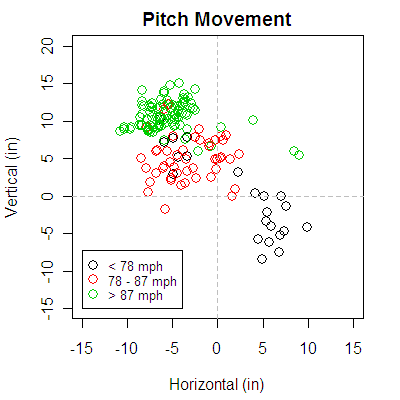 throws quite a few pitches above 90. Johnson with the bases loaded. Johnson flied out. toward the right, although there isn’t a clear separation. the additional pitches added (solid dots). the two “legends” on the plot. start, although I believe that is consistent with them being slower. measured relative to the center of the pitching rubber. he does seem unable to get proper arm extension. But you know what? 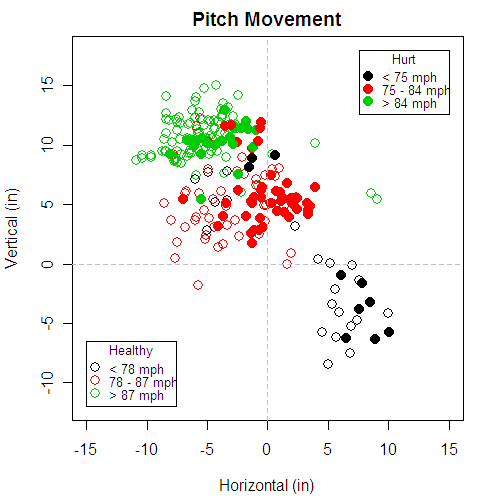 velocity, movement and location are probably more accurately recorded. black dots for starts in other parks. evening in Atlanta, much more so than in his previous starts. *Numbers in () are the fraction of total. swing-throughs in 80 pitches that night. fasty was coming in 5 mph underweight. start throwing again in a couple of weeks, or maybe not even then.